New author alert! Kelly Rowland prepared to release her first book! ~ CK Jacob: Nigerian Fiction And Lifestyle Blog. New author alert! Kelly Rowland prepared to release her first book! 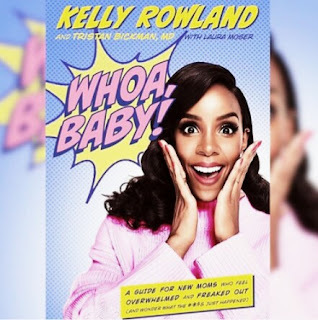 Former member of Destiny child, mother of one, Kelly Rowland has become an author! The talented singer collaborated with her gynecologist, Dr. Tristan Emily Bickman, to write her first book, and its titled "Woah Baby!" It is a Guide for New Moms Who Feel Overwhelmed and Freaked Out (And Wonder What the #*@& Just Happened).”.it's a book for new mums about what to expect after childbirth. Good for her. Whao baby!